$85 for a Standard Party, $100 for Pizza party. Both include 10 skaters, drinks, paper goods, balloons, invitations. Pizza party comes with 2 lg pizzas, and glow lights. $6 for each additional skater, 30 minutes reserved time in snack bar for cake time. Must provide birthday cake and may bring ice-cream cups. No outside foods or drinks. 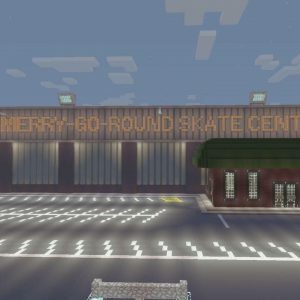 * Private parties are $200 for 2 hours skate time, 20 skaters included; $3 each additional skater, and 1 drink per skater… You may bring outside food and drinks with private party. ** All parties are asked to be paid 1 week advance to time of party, private parties are asked 2 weeks advance. We only accept cash. Please call or message us here to book your party. No deposit required to book.